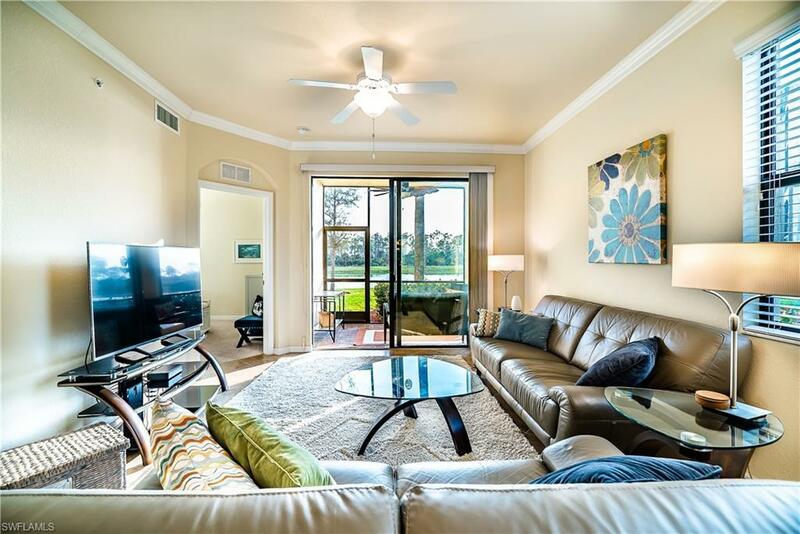 WOW...Fall in love with this Immaculate and rarely available 1st FLOOR END UNIT Celiana model that offers a coveted SW exposure, gorgeous Lake view, TPC GOLF INCLUDED AND is beautifully Turnkey furnished! 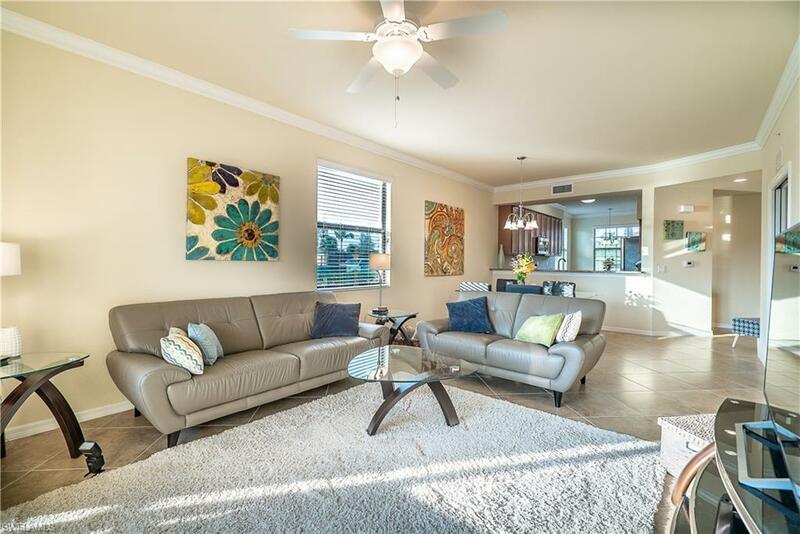 This 2 bedroom + Den, 2 full bath unit also features a large granite kitchen with stainless steel appliances, custom cabinetry, crown molding, large private storage room and assigned covered parking. Quiet and serene, yet close to Acqua's pool and BBQ grills. 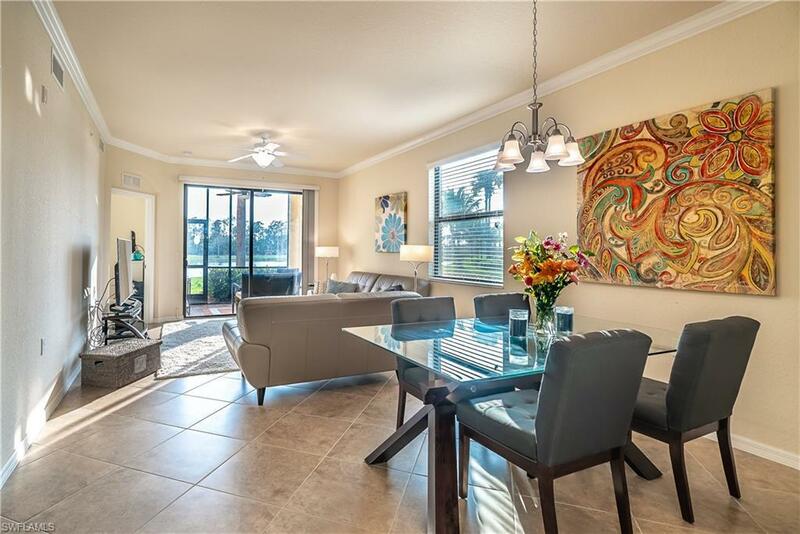 All of this and more...Enjoy Treviso Bay's 54,000 sq ft clubhouse with an array of dining options, lounge by the resort style pool, indulge in the spa or beauty salon, play tennis or pickleball...Treviso Bay has so much to offer. 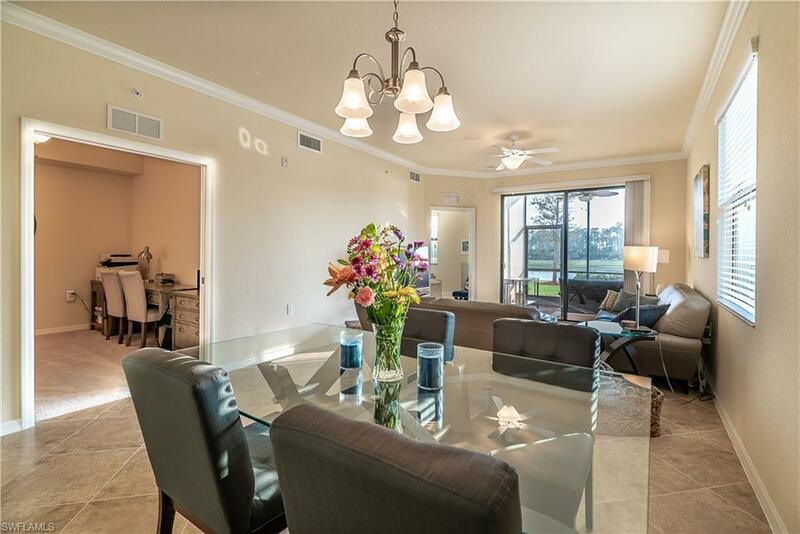 Great location, Great Amenities, Great sunsets..This one is calling your name.